So Jobs has three "candidate for techno-sainthood" movies now. Where the hell is the Grace Hopper movie? I haven't seen this yet, and most likely won't until it's on DVD, but it tanked hard at the box office. It's on pace to finish just a tiny bit ahead of the Ashton Kutcher cash-in. Yeah, that kind of surprised me going in, but lo and behold, there were a whopping seven total people at our 7:30pm, Saturday night, opening weekend showing. I liked it just fine, and certainly didn't think it worthy of bomb status, but I really think I would rather have seen the Fincher (or really, probably several other directors) version instead of the Danny Boyle version. 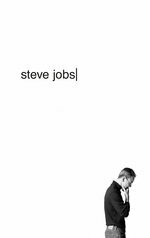 I wasn't expecting much when I saw Steve Jobs over the weekend because I heard it was tanking, so I'm not sure if these lowered expectations are tempering my view of the film. But, I loved it. I thought most of the performances were so great - Fassbender is really one of the best actors around today and Seth Rogen and Jeff Daniels were very much as I pictured Woz and John Scully to be like from reading their books. I also liked the focus on the early years. I think a lot of the pedestal-topping of Steve Jobs comes from people who love their iThings, so I found it interesting to see the vision he had so early on. The conceit of structuring the film around the product launches was brilliant - people are obsessed with Apple's WWDC announcements nowadays. Perhaps I liked it so much because I work at a tiny (bio)tech company and many of the fights Jobs was having are so similar to fights we've had (including the crazy machinations with the board and a (very tiny amount of) strange background personal stuff). I can see why a lot of people wouldn't like it though - this article sums it up well. but I really think I would rather have seen the Fincher (or really, probably several other directors) version instead of the Danny Boyle version. Ooh, Fincher would have been really interesting.